The Look Ahead functionality allows you to view how unregistered courses would plug into your audit. You are not actually registering for courses with this function, you are merely seeing how potential courses would fulfill your requirements. 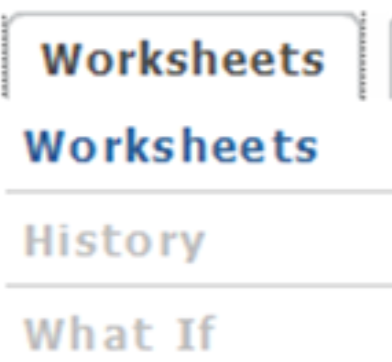 On the left hand side of the screen under Worksheets, click Look Ahead. Multiple Courses can be added but must be done one at a time. 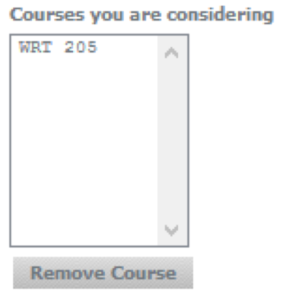 If you decide after adding a course, you do not want it, highlight the course in the “Courses you are considering” box and click the Remove Course button. 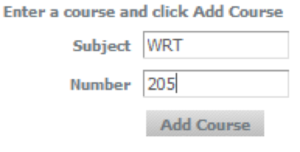 When finished adding courses, click the Process New button located above the Look Ahead box. The audit will display Look Ahead coursework in bold blue font with a grade of PLAN and term as Planned Term. Click the Back button if you wish to add different courses. When clicking Back, it does not save the courses you previously added. The “Look Ahead Courses Used” drop down, which is to the right of the back button, shows what courses have already been viewed in Look Ahead.